1) Print the 2011 Activity Advent Countdown. This includes the countdown cards, a list of activities, and list of materials needed.2) Set up the 25 countdown cards to get your child excited about the Countdown to Christmas Activities. · * Put the cards in a jar and have your child pick a random one out. · *Attach them to a piece of garland with clothes pins and take one down each day in order. · * Make a pocket chart with library pockets from the dollar store or by sewing felt into a grid and put the cards in the pockets in order. Pull one out each day. · * Make a chart with the numbers 1-25 on it. Have your child pick and cross off a number each day. That number would be the activity of the day. · * Hang the cards from the lower branches of your Christmas tree and let your child pick the activity for the day by picking one to take off of the tree. #12 dice game has no instructions? For #12’s dice game- Use counters such as m&ms, stones, blocks, etc. Roll a die and cover the corresponding numbered stocking. When you cover all of the stockings, you win! ps thanks for the heads up. I will add the instructions to the download! Thanks!! I am going to do this with my childcare kiddos!! Thanks so much for sharing this! I am making my first activity advent calendar this year and have been struggling to fill all the days! This will be so helpful. 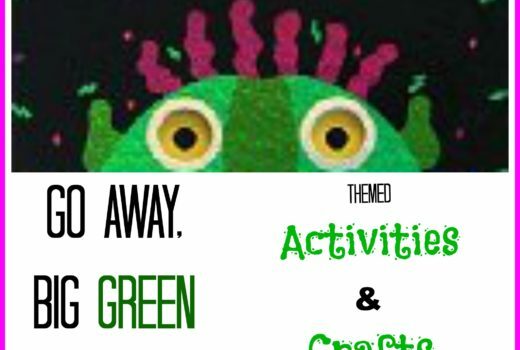 This is great- activities for Little Man as well as crafts the older girls will enjoy! Thank you! What a great list, I should get started on this year’s Advent Calendar soon! Thanks for including our puzzle game. I cannot tell you how excited I am about this!! Just finished printing everything so that I will be prepared and I even got some cute Thanksgiving “Thankful” ideas in the process!! Thanks for getting this together!! I cant seem to get any of the directions for anything! All of the document comes up and looks great but I cant actually click on any of the directions. Is there another way to get it? What a great idea. I can’t wait to print it off for the kids. I have been waiting for this. I used yours last year and it was fabulous. I am a working mom and you compiling this let’s me do something so fun with my kids. I wouldn’t have time to find all the ideas. THANK YOU THANK YOU! I love this! Can’t wait to try these with my grandson! Thanks! The directions for how to set up your advent countdown and to get it started are in the post above. The directions for each activity should be included in the post you are directed to and/or in the document. If you click on the 2011 Activity Advent Countdown link in the post above it will lead you to the printable cards and materials list. Please let me know what it is exactly that you are wanting directions for and I will be MORE than happy to help! What a creative idea, I love it! Thanks! I’ll check the links on the instructions page to make sure they are good. Thanks for the heads up! What you may have to do instead is to click on the links of each day’s activity in the post above instead of from the Word document. I’m sorry for all of the trouble! This was meant to save you time, not take more of your time. =) Off to look at the links now…. Reply	Summer and Winter all year through! I am LOVING this!!!! I just found your blog and its right up my alley. I’m a speech pathologist (and blogger) always looking for new activities to use with my daughter AND in therapy. Thanks for sharing all your great ideas! What a fabulous collection!! I have advent plans, but I’ll definitely use some of these ideas! I’m also going to share it on Facebook, if that’s okay…if it’s not, let me know and I’ll take it down! Thank you for these ideas! I’m excited to use them with my son! This is awesome!!! I will feature this post next Monday as part of Moms on Monday at A Pinch of Joy. I hope you will stop by and pick up a Thank You bouquet from my button box! Thank you SO much for featuring me!! I am so tickled with this idea and all of the fun resources. I have always loved your blog!! Enjoy your holiday season! Hope you don’t mind, but I have commented on your Advent Activities and added a link to your blog as well. Great Download- I just passed it along to the parents reading my birthday party blog. Thanks!